We all have one, and if we don’t, somewhere inside we wish we did…and that is a storage unit. Whether we store Christmas decorations or baby swag from our grown children, we keep all of our stuff that we don’t want anyone to know we are keeping in our off-site storage. No shame, here, I have one too and it is filled with albums from childhood and CDs from college and all of those Disney VHS tapes we thought would be worth so much money! The thing with storage units is we seldom organize them because we seldom see them. We usually drop and go or spend an entire afternoon trying to find what we need. The number on thing most storage units lack is shelving. Without shelving, you have a large pile of your stuff. All of that head space is wasted space. I highly recommend buying some metal (not plastic!) shelves to line the walls of your unit. You can plan to spend about $100 per set. Store your belongings in clear plastic containers. Clear so you can see the contents and plastic so mice, silver fish, and other bugs won’t eat into them. My favorite containers are those with a list that secures on with clips from the container. Lids that simply snap on can collapse when stacked on the bottom of a pile. Try to buy all of the same boxes in two sizes, large and very large. When all of the boxes look the same, it is easier to find what you are looking for since your eye isn’t distracted by all of the varying shapes and colors. Place like items in each box but don’t overthink it. Christmas, Toys, Dishes are good categories. 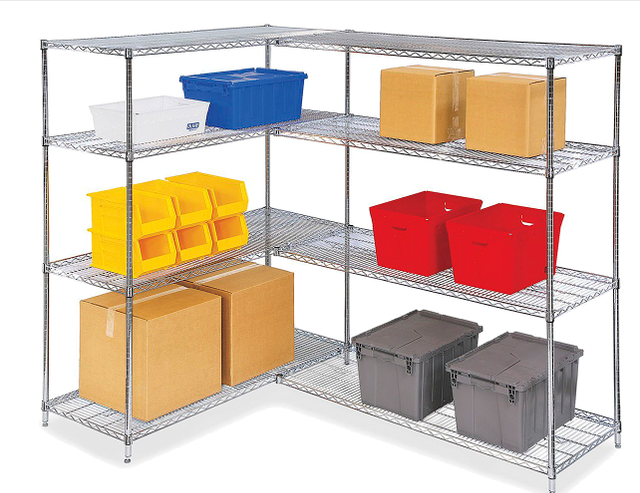 Depending on the amount of stuff you are storing, you can expect to spend a few hundred dollars on containers when it is all said and done. Place your bins on the shelves, leaving the open space in the center for large items such as furniture. · Don’t store your things in plastic bags – you can’t see what is in them and they don’t stack well. · Do not store liquids in your storage unit. · Don’t store gasoline-powered tools with gasoline still in them. · Do not store anything in your unit that is wet, as it will cause mildew. One final thought: the strategies I have recommended are not cheap - especially when you consider how much you are paying for the unit in the first place. If you are unwilling to spend that much money to keep your stuff safe, then why are you keeping the stuff at all? We should be good stewards of our stuff, if you care enough to keep it, care enough to keep it safe. If you are ready to get rid of the clutter in your life, join us for the 30-Day Declutter Challenge. It is 100% free and you can register here.